Cabinetry for Kitchen, Baths, Home Office, Laundry, Utility. Wood-Mode, Kreamer, PA. For over 60 years, Wood-Mode has been widely recognized for excellence in cabinet design, material selection, construction and finishes. Much of the credit is due to the manyhand steps executed with pride by our dedicated craftspeople, using only the finest materials, woodworking skills, and the most advanced technology. The result is the highest quality cabinetry with an impressive range of styles, colors, woods, laminates, moldings and hardware, so your design choices are virtually limitless. 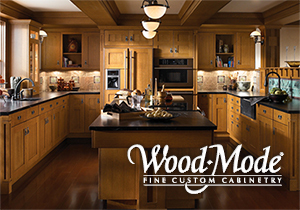 Wood-Mode, Inc., founded in 1942, is the nation’s largest manufacturer of custom cabinetry for kitchens, baths and other rooms throughout the home. 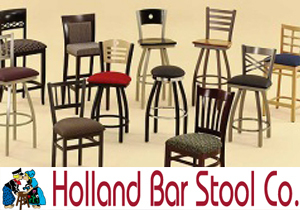 The company is proud to note that its 70+ years in business have all been family owned and operated and is a complete Made in America operation. 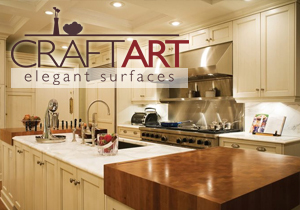 Craft-Art employs 25 full time people, including a multi-talented staff of craftsmen, technicians, support staff. The production process has been fine-tuned to automate tasks best done by machine and focus on skilled people to do the large amount of handwork that goes into each Craft-Art countertop. Cambria Quartz Surfaces www.cambriausa.com Cambria performs beautifully. Every Day. Your countertops go through a lot. Scratches, stains, and the stress of everyday life. No other Surface on the market offers such a perfect harmony of performance and beauty. Only Cambria can meet both the needs of your lifestyle and the demands of your inspiration. Top Knobs. 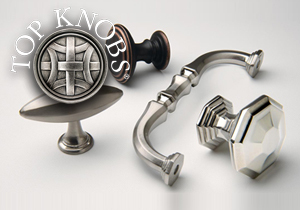 Our craftsmen manufacture our knobs and pulls using a blend of traditional craftsmanship and advanced production methods. Our attention to detail ensures that our products look and feel individually made rather than mass-produced – whether we manufacture just a few pieces for a custom kitchen, or thousands of pieces for a large manufacturer. Kohler, Kohler, WI. 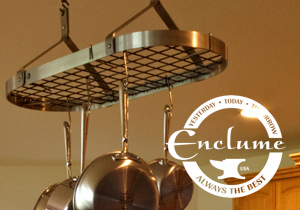 In the best kitchens, style and function blend like the flavors and aromas of your favorite culinary creations. 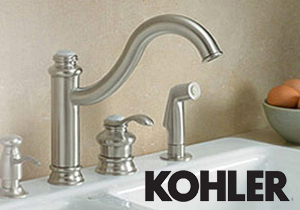 That’s why we make all KOHLER kitchen faucets in a vast range of styles, colors and materials. They’re designed to be both functional and beautiful. KWC faucets enhance people’s appreciation of the precious commodity of water and increase the joy it gives. KWC products embody the traditional values of Swiss craftsmanship, both in their functionality and in their aesthetic. 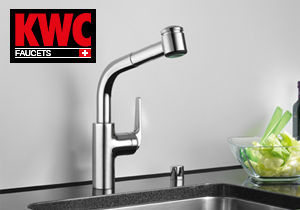 KWC is the leader for luxury kitchen faucets in private and professional fields which successfully combines Swiss innovation with technology, precision and fascination. KWC is Water Performance.